Baby Bear meets all sorts of different animals until he finally finds what he is looking for - his mother. Baby Bear meets all sorts of different animals until he finally finds what he is looking for - his mother. 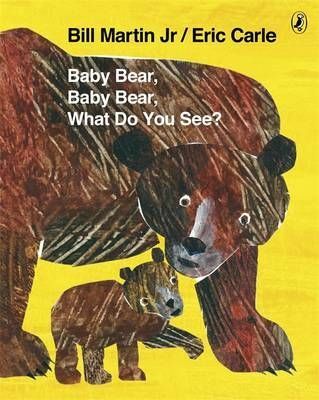 Told through Bill Martin's rhythmic text and Eric Carle's vibrant images, this is the fourth companion title to the much-loved classic "Brown Bear Brown Bear, What Do You See? ".